› Where: Signal Crest United Methodist Church’s Crest Center, 1005 Ridgeway Ave.
A veteran cast of local actors will tackle a new play by Matthew Barber when Signal Mountain Playhouse opens "Fireflies" on Friday, Feb. 8, in the Crest Center of Signal Crest United Methodist Church on Signal Mountain. Six performances will be presented Friday and Saturday nights through Feb. 23. "Winning" and "winsome" are words often used to describe Barber's Tony-nominated new play. The Playhouse's production is directed by Michelle Ford, who has been in the entertainment industry for over 20 years. The ensemble cast includes Anne Roza as spinster Eleanor Bannister and Rob Inman as itinerant handyman Abel Brown. 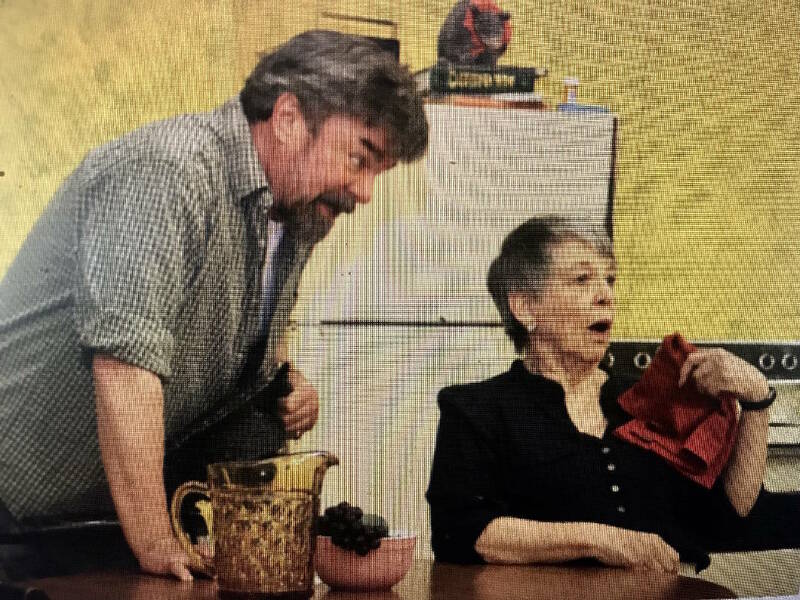 Janet McInturff plays nosy neighbor Grace Bodell and John Nichols takes on the role of Eleanor's former student and town cop, Eugene. "This cast is known around our area for work at Chattanooga Theatre Centre and other venues as well as at the Playhouse. Rob Inman has won several Miss Annie Awards at the CTC for his performances," says Playhouse spokeswoman Anne Rittenberry. The plot deals with Eleanor's emotional ups and downs as charismatic Abel Brown, hired to repair her roof, challenges her identity as a pillar of the community in her small Texas town. Egged on by her busybody neighbor Grace Bodell, as well as inept policeman Eugene, Eleanor faces feelings she hadn't anticipated. Prior to each performance, a dessert and coffee reception will be held from 6:45 to 7:45 p.m. before the curtain at 8 o'clock. The reception is included in the $15 ticket. The Crest Center can be found at the back of the church building, with plenty of well-lit parking available. For more information: smph.org or call 423-763-7219.